Our local newspaper here, the Cambridge News, reported on 26th February 2016, that a shortage of properties is being blamed for house sales in Cambridge dropping by a fifth (20.4%) over the past year. 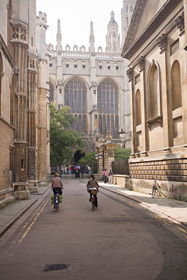 According to property marking analyst Home Track Cambridge saw the highest drop in house sales of any of the UK’s top 20 cities. [i] However the list house prices saw Cambridge at the top, rising by 13.9% (London was 13.4%).